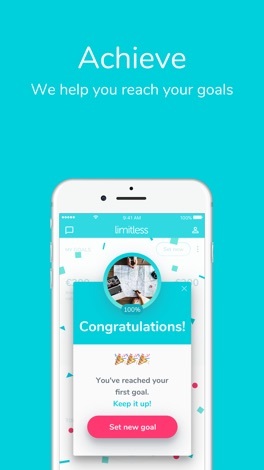 Thanks for using Limitless! We are very excited to bring you today’s release! Have you ever wondered whether there's a master list of transactions with the statuses of each transfer? Well, wonder no more! As of today, you can easily access the List of Transactions in the app's Settings. While we're talking about Settings... We also redesigned this page to make it more intuitive and accessible. In the past, when you performed a top-up transaction within our app, you saw money added to your goals instantly. Now you'll see the top up amount only after we get verification from your bank. You can check its status in the List of Transactions. We love hearing your ideas and feedback. If you have any comments or suggestions, let us know! You live in the present, collect cool life experiences. At the same time, deep in your heart you know, you should start saving money. 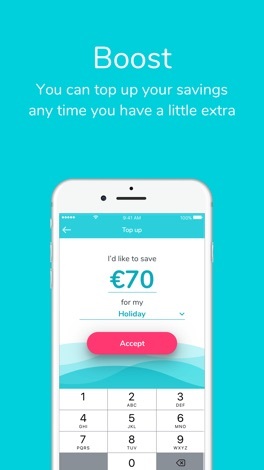 We give you a great app that will help you save your money in a fun and easy way. Currently only available for EU-residents who are also customers of bunq. 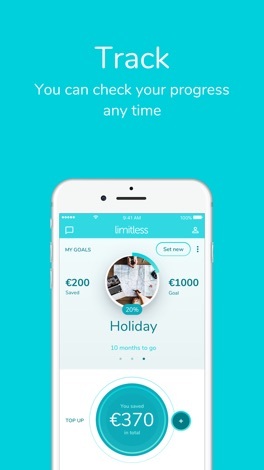 With the Limitless micro-saving app we make sure, that you have enough money to do cool stuff now and later. Every time you spend using your bunq card, we calculate an amount (2-20% of your purchase value, depending on how much you spent) to be automatically transferred from your main bunq account to your designated “savings” account. 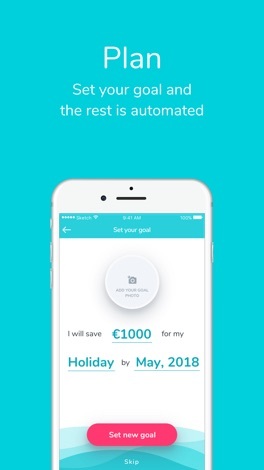 This way you can save small amounts of money hassle-free which will help you reach your savings goal!